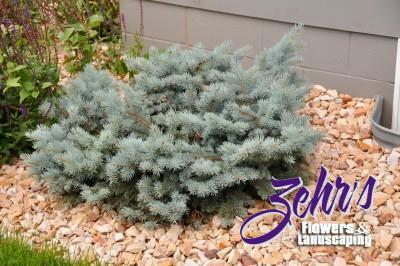 Compact, rounded to mound shaped with beautiful blue foliage. Valuable as an accent or specimen plant. Very slow growth.